It’s been awhile since we built the 12’ GPS wall clock. The GPS Alphanumeric Wall Clock is measurably smaller in size compared to the last one but a lot more sophisticated with its knowledge of local time. This particular clock uses 6 of the 1” alphanumeric displays with controllers to create a 6 character display. 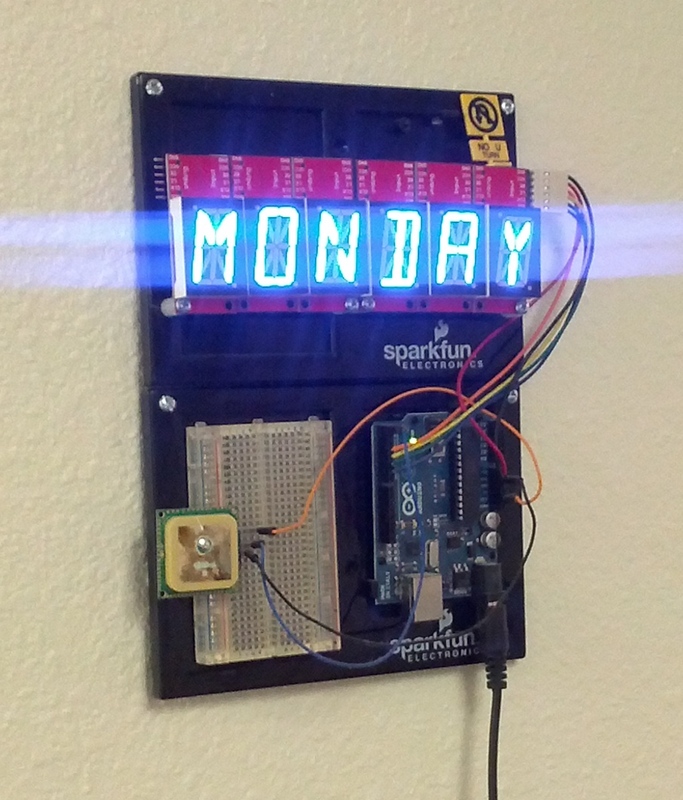 While not as glitzy as EMSL’s awesome Alpha Clock Five, this setup allows us really simple control from an Arduino to scroll time, date, day, and some simple messages. 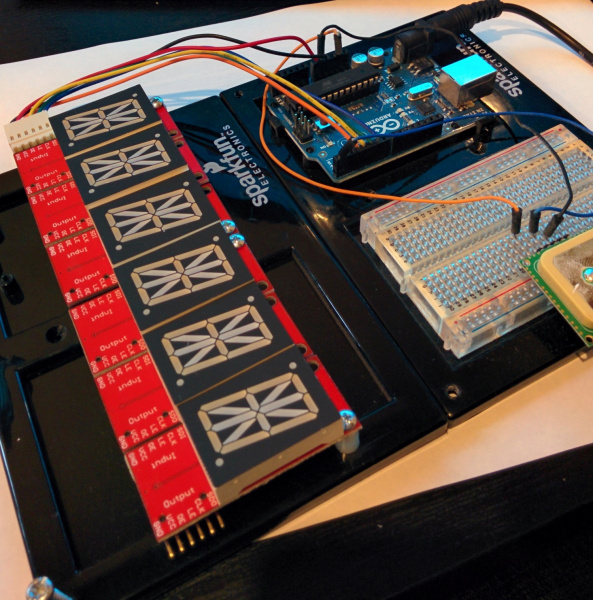 These are controlled with a simple library using an Arduino Uno. A 5V walwart provides all the power for the displays and to power the Arduino. I originally used the Locosys LS20031 GPS receiver. This worked great for three years. Once my original DST code broke I decided to upgrade to the smaller, more sensitive GP635T GPS receiver. What you are building will last longer than you expect. Perhaps it’s just me and my projects, but I always assume they’re going to break within a few days. When really, silicon and the code we load onto it will run for many tens of years in the right conditions; possibly longer than we will be alive. If a project doesn't have a publicly accessible repo it will break and no one will fix it. I finally found the original code. I could have simply updated the hard coded values for the next 5-10 years, but what’s the fun in that? The history of daylight savings sucked up a few hours of my time, but setting that aside, the US government changed the rules (thanks guys!) back in 2007. We now go from -7 UTC (here in Boulder, CO) to -6 UTC between the 2nd Sunday in March and returns to -7 UTC on the 1st Sunday in November. From the date, we know when we’re in March or April, but how do we tell if we’re after the 2nd Sunday? We need to know the day of the week! Given a day/month/year and these three lines of code, we can establish that October 21st, 2015 will be a Wednesday. Now that we know the day of the week, we can determine if we are in or out of DST. Mikal Hart's TinyGPS++ library is excellent to get you up and running quickly with GPS. The problem I found is that GPS clocks are often indoors, and, in the case of the SparkFun building, that makes it seriously difficult to get a GPS lock. We have lots of concrete, metal girders, and a large solar array that wreaks havoc with GPS signals (and pretty much all cellular carriers for that matter). TinyGPS++ reports the Time/Date only after you have a lock, so, when we moved the original GPS Wall Clock to our new building, I was somewhat mystified why it wasn't working. Posting a 'NOGPS' debug statement to the display helped show that we almost never get sufficient enough satellites to allow TinyGPS to report time and date. Luckily, it doesn't take a full lock to get date and time from GPS. 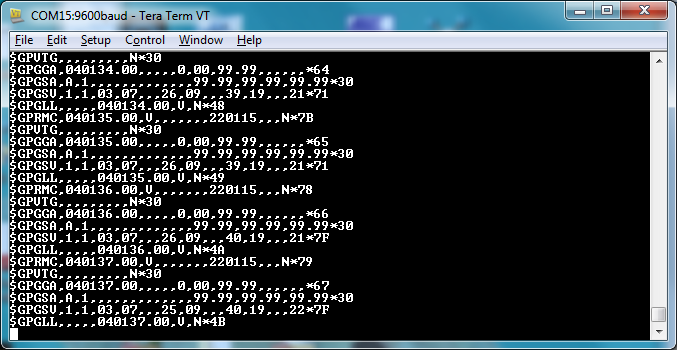 If you look at the raw NMEA sentences above, you should be able to pick out '040054' or 4:00.54 UTC. With only 1 satellite and a very bad view of the sky, we are able to grab time from GPS. After a few seconds we can see the date come in as well - '220115' or January 22nd, 2015. 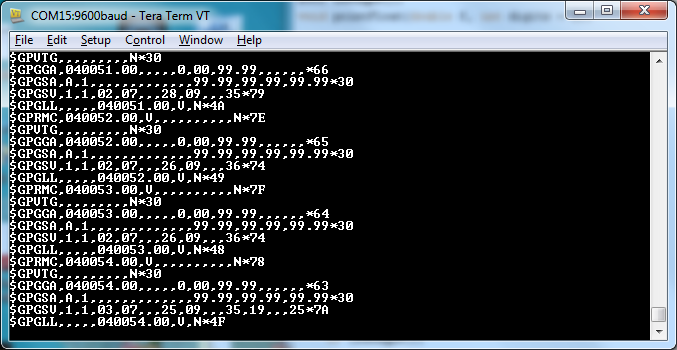 The latest version of the Alphanumeric GPS Wall Clock uses a custom NMEA parser rather than relying on TinyGPS. It looks only for the availability of time and date, no GPS lock necessary. This allows us to display time in much harsher GPS environments. The final code combines all the pieces together to give us a GPS based clock that should last for many years to come. Or at least until the US government decides to change the rules again! 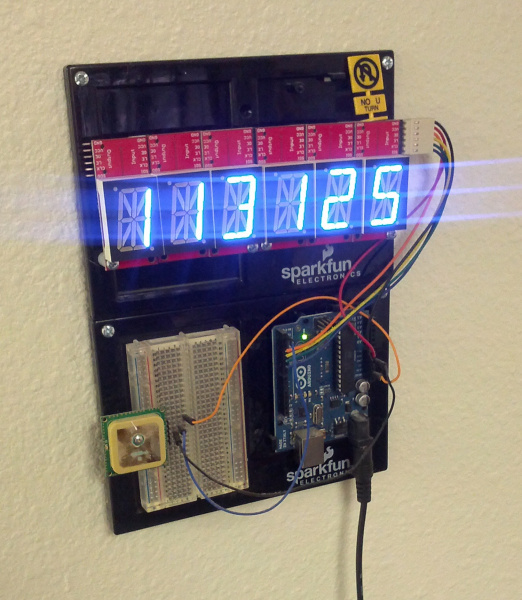 You can also find additional Arduino DST examples in the Daylight Savings Time Example repo.